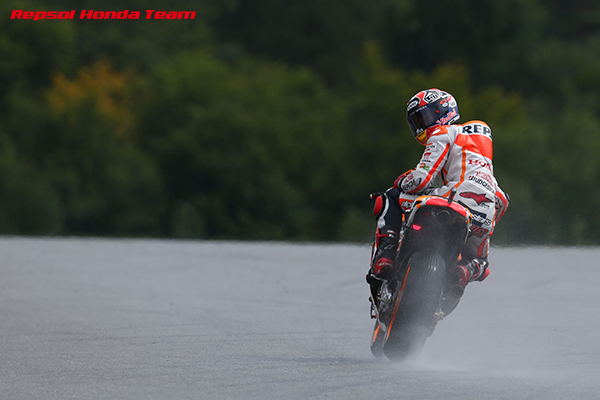 Mixed conditions on first day in Czech RepublicTemperamental weather has once again played its part on the first day in Brno. 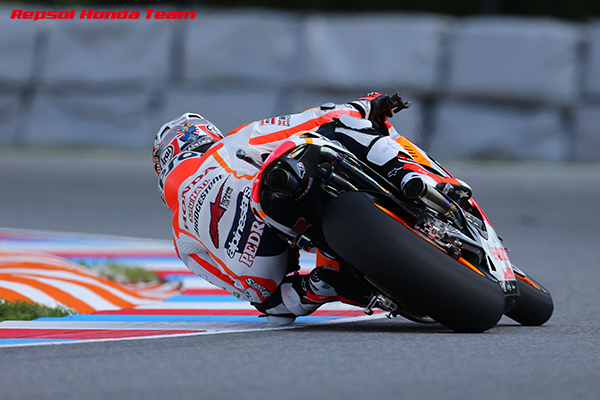 Repsol Honda’s Marc Marquez was fastest for the day after leading this morning’s dry session with a time of 1’56.803 on his final lap of 17. 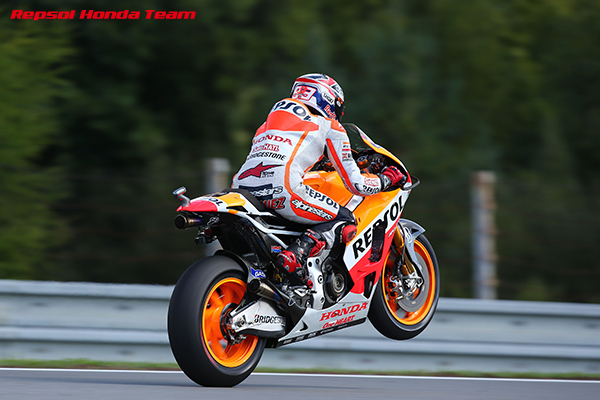 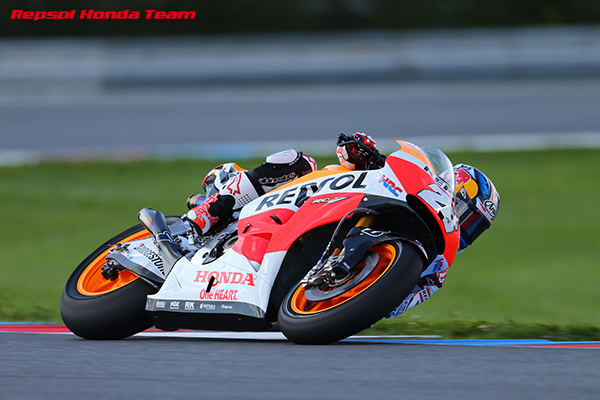 Teammate Dani Pedrosa finished third, just 0.052 off Marc, with 1’56.855 on lap 16 of 17.